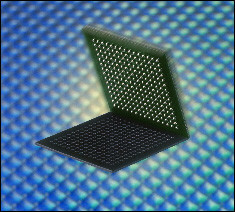 Reballing preforms are designed to simplify the task if replacing solder balls on an area package typical of BGA, CSP and connector designs. These preforms are preloaded with the proper alloy of solder balls arranged in the duplicate pattern to the device. Reballing of area array devices need to place under several conditions. One of these conditions is when the same device needs to be removed and replaced. Upon removal of the device form the PCB some of the solder balls remain on the PCB while others remain on the package. Therefore in order to replace the device the pad locations need to be wicked of the remnant solder and sites prepped and cleaned. Similarly the remnant solder needs to be removed from the device, the pads cleaned and prepped and new balls placed onto the pads. In other cases devices need to have the solder alloy changed out requiring the use of reballing preforms to replace the existing solder balls with a new type. This is common in mil and aerospace applications where the newer RoHS compliant lead-free alloys are not accepted in high reliability applications. Lastly, there are cases where leadless device packages get converted to balled devices using a reballing preform. Modern reballing preforms are made of a sandwich construction. The balls are captured in a polymer/adhesive sandwich construction. The mechanical preforms , made from a polymer are laser machined with holes slightly larger than the ball diameters of the solder balls that will be “fitted” in to them. Additionally the overall size is precision machined to match up to the package size. This allows them to be aligned one to another. Attached to the preform is a specialty tape which presents an adhesive surface inside the individual wells thereby holding the ball temporarily in position prior to reflow. Balls corresponding to the proper alloy are then placed in to the wells and are presented ball side up to the package being reballed. These preforms are designed and constructed based on the mechanical dimensions of the package found in the data sheet of the part. Preforms can be constructed as small as a 1mm overall package dimension with ball sizes down to 8 mils in diameter allowing the smallest most state of the art device to be reballed.